New Year, New Diet? No way – let’s focus on making better food choices instead! Whatever your health and wellness goals are for 2019, cheese can certainly have a place in your plan. 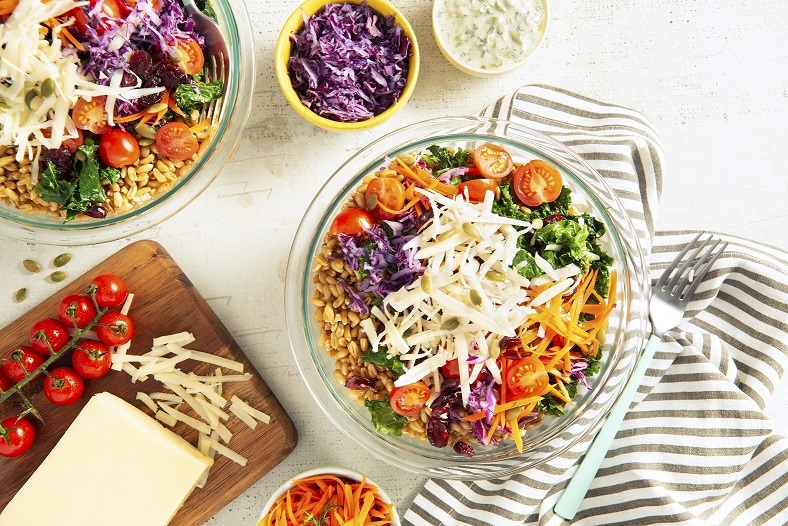 First and foremost, remember that cheese is an excellent source of protein, calcium, and vitamin B12, as outlined in this post from our friend and Registered Dietitian, Nita Sharda. Also, let’s be real, cheese makes us happy – and isn’t that half the battle when it comes to feeling good? Establishing balanced eating habits doesn’t have to be challenging. To get you headed in the right direction, we’ve compiled the following guidelines to help you “mindfully” enjoy cheese, while reaping all its nutritional benefits. 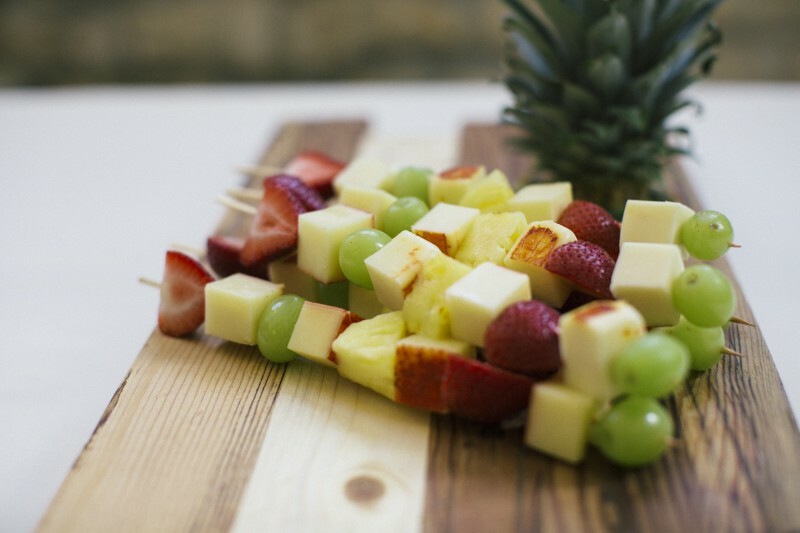 Fruit and cheese make a delicious and satisfying snack. Take inventory: Think about it – what do you usually eat with cheese? Chances are the answer is probably on pizza, nachos, bread and pasta. We suggest switching it up once and a while! 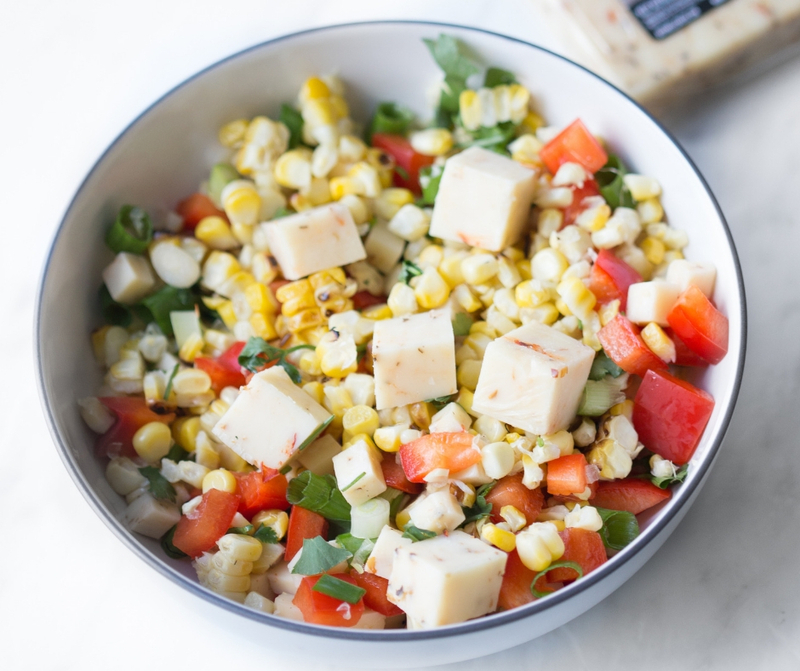 Try sprinkling Horseradish Cheddar on a salad, adding a slice of Red Hot Chili Pepper Jack cheese to a hummus and veggie wrap, or simply pairing a few cubes with some of your favourite fruit. Don’t get us wrong – there’s always a time and place for a grilled cheese sandwich or lasagna (we’ve got recipes for those too! ), but small changes in the kitchen can add up big time, so it’s worth the small shift. 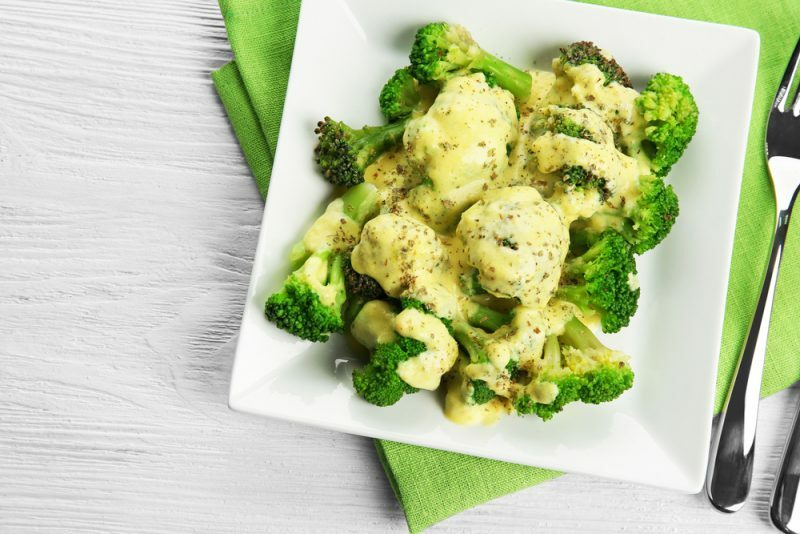 Eating cheese with veggies instead of starchy carbs is a healthy alternative. Have a meltdown: Have you ever noticed that cheese tastes better when it’s melted? It could be because the fat rises to the surface for instant satisfaction and awesome mouthfeel, or that its gooey warmth is oh-so-comforting. Perhaps it’s the creaminess factor that brings joy to your taste buds, as suggested by this article from Business Insider. It seems that the simple act of melting a serving of cheese on your food may help you feel more satisfied and less likely to go back for seconds. Definitely an experiment worth trying! The best varieties for melting are typically younger cheeses because they have a higher moisture content. Consider Bothwell Cheese varieties such as Medium Cheddar, Gouda, Monterey Jack, or Mozzarella for an optimal gooey factor. Using melted cheese on top of meals or side dishes allows you to be more conscious of how much you are using. Click here for our Three Cheese Sauce. Keep it light: Choose varieties of cheese with naturally lower fat content such as Bothwell’s Light Cheddar or Part-Skim Mozzarella. Don’t despair, what these cheeses lack in fat, they do not lack in flavour – we promise! Cottage cheese and Ricotta also have less fat and offer different textures. 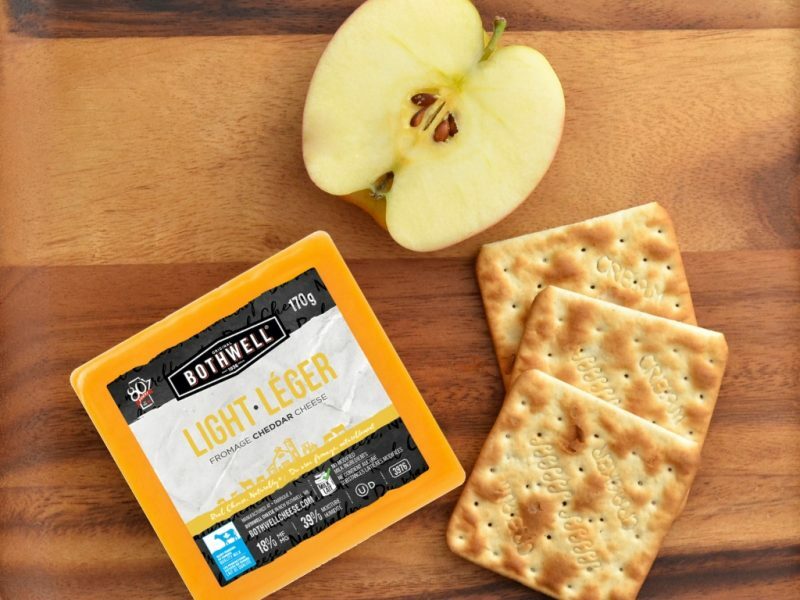 Bothwell’s Light Cheddar Cheese has 44% less milk fat compared to our other cheddars. Be bold: Use sharper cheeses for more flavor satisfaction even with a smaller portion. Consider using aged cheeses like Bothwell’s Non-GMO Project Verified Old White Cheddar or Parmesan. There is a lot of flavour in our smoked varieties as well, and bold profiles like Horseradish Cheddar and Madagascar Green Peppercorn make a big statement even in conservative quantities. Let’s not forget about the spice factor! 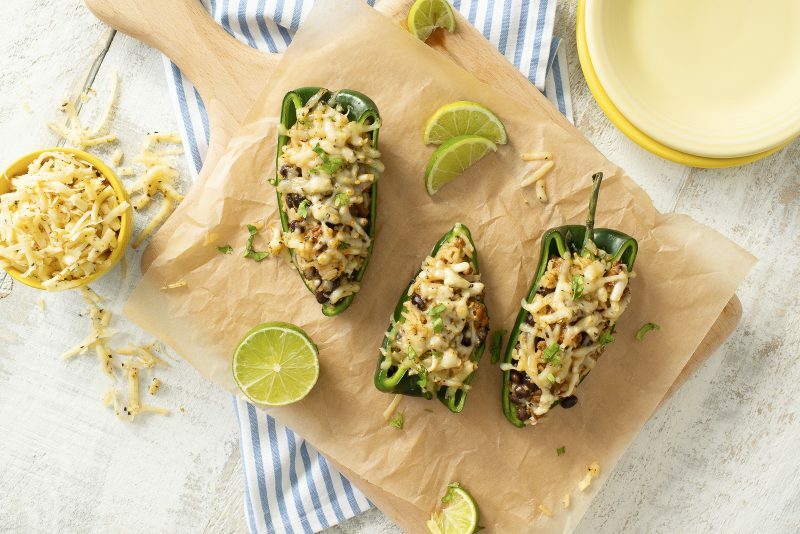 Try varieties like Habanero with Cracked Black Pepper sprinkled on top of stuffed peppers for an easy weekday meal. Bothwell’s award-winning Habanero with Cracked Black Pepper is one of our best selling cheeses. Portion control: Generally speaking, one serving of cheese is considered to be 50g, or 1 ½ ounces. Although many of us have intentions of measuring our food when we first start our path to wellness, this often falls to the wayside over time. 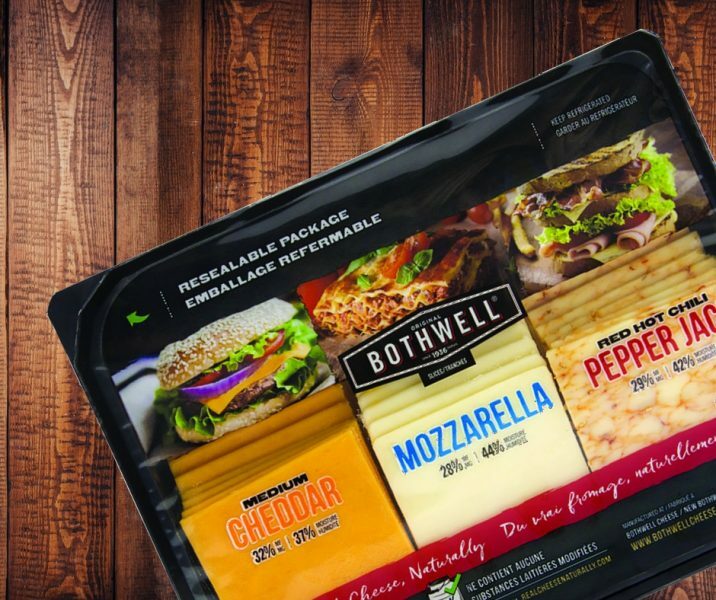 A good solution is to opt for pre-portioned cheese like Bothwell’s sliced cheeses that are available in full and snack-cut variety packs. Variety Slice Packs are available at most major Canadian retailers including Costco, Sobeys, and Superstore. We strongly believe that balance is the key to a healthy lifestyle. Be aware of what you’re eating and how much. Eat good quality foods made with natural ingredients, but most of all – enjoy what you eat. Food should be FUN as well as nutritious!